A sparkling wine for everyday celebrations! 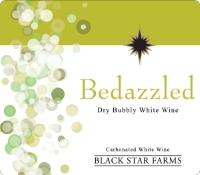 Made in a dry style, this bubbly is festive and refreshing. Flavor and Aroma: A fun sparkler with fresh, crisp fruit flavors and a dry finish. Enjoy this wine with an assortment of mild cheeses and fruits. Great with appetizers, mild spices, and even popcorn! The fruit profile for this wine is brighter than most sparklers, which makes it beautifully refreshing, The bubble is delicate enough to keep it vibrant on the tongue, and the sweetness level is kept to a minimum to maintain its versatility with food. It can be your starter, as it’s a great palate cleanser, but it is also perfect with appetizers and first courses. For a dessert option, try it with fresh fruit and cream.